Print the cards. Cut and laminate them. 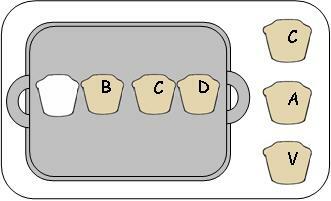 Have the children clip a clothespin on the muffin that should be on the pan.